Travelling all around the UK with Sev and Lily, staying in lots of different accommodation, from hotels, vintage campers and many cottages and homes. Having built up an idea of what we love the most when travelling with dogs, and what works best for our trips. 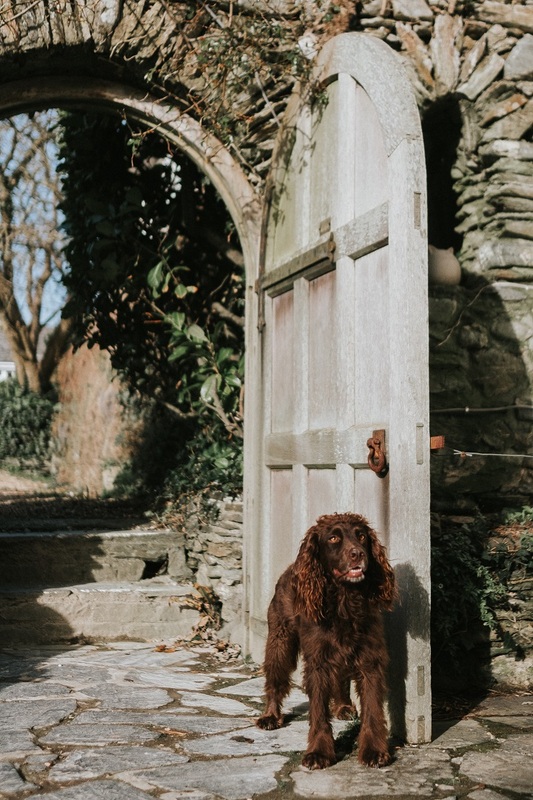 Where to stay whilst travelling really makes [or breaks] the trip, finding somewhere that is luxury but dog friendly is always the aim. Recently staying at a the gorgeous Talland Bay dog friendly hotel, a wonderful dog friendly hotel over looking the lovely Cornish seaside. 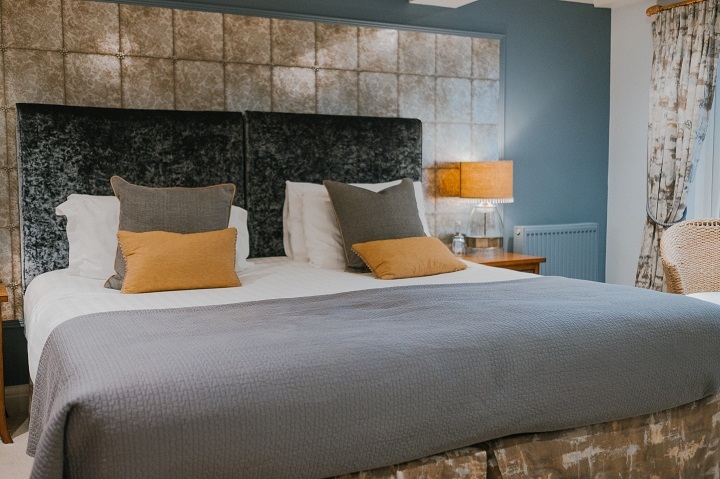 The rooms at Talland Bay Hotel are all dog friendly, apart from two, you'd never know with beautiful white sheets and gorgeous furnishings, everything was clean and fresh. An amazing big and comfy bed was perfect for the two night stay, and dog blankets and towels for the dogs too. Our room was large with a little sofa and table area, dressing table, large wardrobes & drawers and lovely bathroom [of course I had a bubble bath too!] with White Company products, which felt very luxurious indeed. Sev and Lily [and Tilly too] certainly got spoilt, with chicken at dinner and sausages for breakfast. A welcome pack of treats, towels and bowls greeted us. As well as a mini guide to the area including places to visit with dogs, doggy day care information and the local Vet. These small details really help a lot when travelling with dogs, making it feel less of a worry and easy to bring them along. Seeing so many dogs around the hotel really made it obvious how dog friendly it is, being allowed all around the hotel expect for the restaurant. This wasn't a problem at all, as a table for dinner and breakfast was reserved in the conservatory- which was lovely! The food was amazing, at both breakfast and dinner. The menu had something for everyone and everything we tried was lovely, the fish and chips and ceaser salad were a particular favourite. 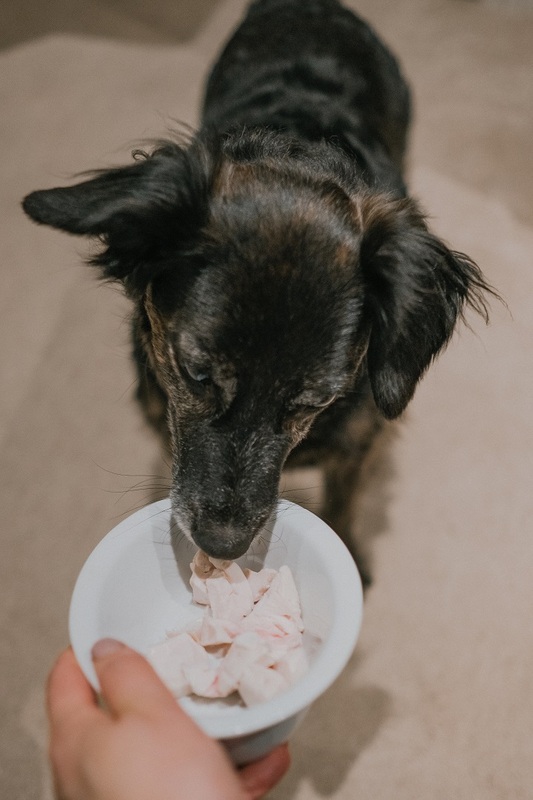 Being able to dine at an award winning restaurant and still have the dogs with us felt perfect, and everything we love about taking them with us. Luxury whilst being dog friendly. 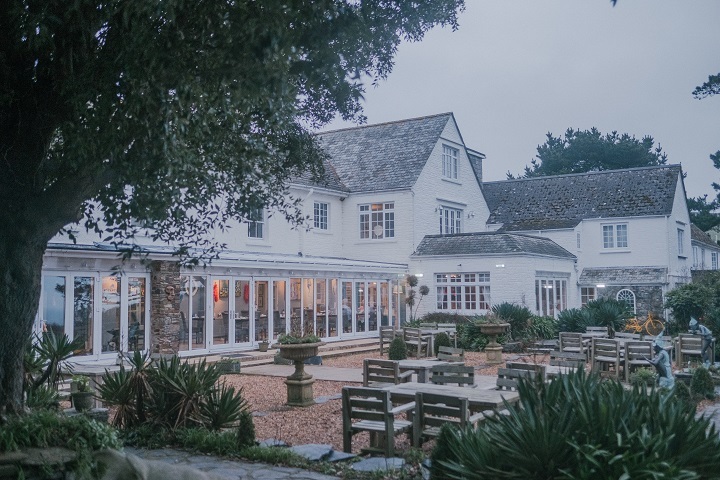 Next time we'd love to try afternoon tea and the Sunday roast, two of our favourites that the Talland Bay dog friendly hotel offer. The staff were lovely and so good with the dogs, this really shows that the hotel is actually dog friendly and not just dogs allowed. 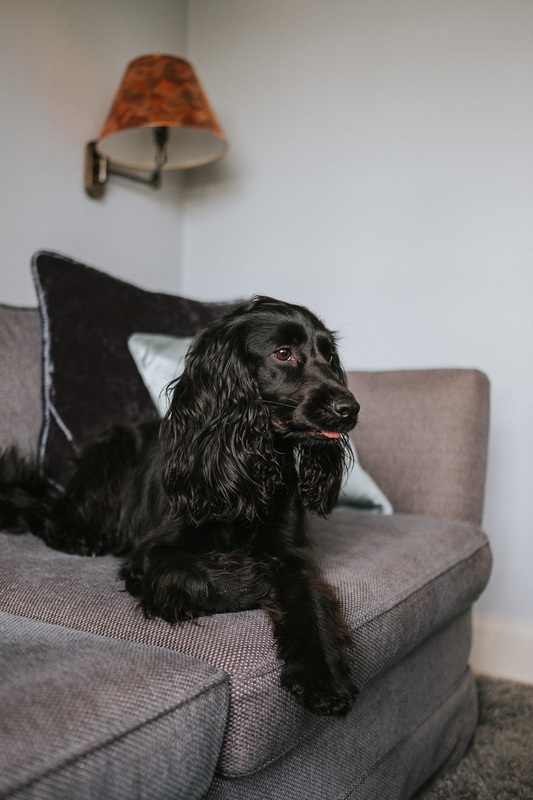 Sharing holidays with pets is so important, and Talland Bay dog friendly hotel showcase how to do this so well. Both mornings before breakfast and evenings before dinner we'd walk down to Talland Bay, a sweet little pebble beach. The walk down is through a field, and the beach is quiet so great for dogs to run around and have a splash in the water. Walking over the rocks to the neighbouring cove, and enjoying the morning sunrise with no one else around. 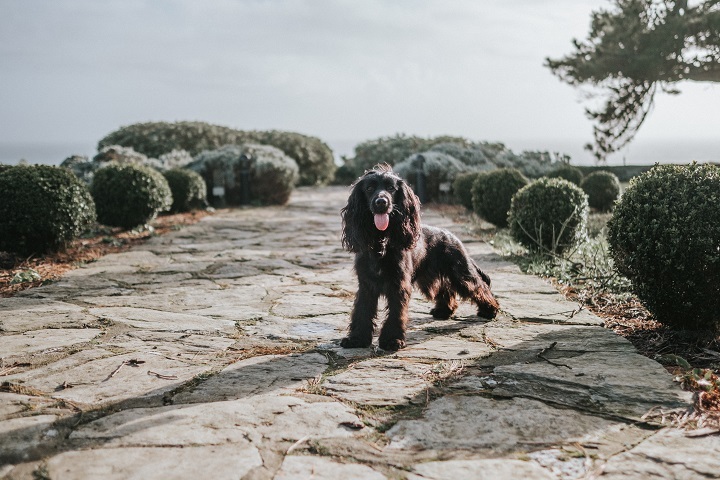 The Wallace & Gromit offer is great for booking your own luxury stay at the Talland Bay dog friendly hotel, with breakfast and dinner, as well as many treats for the pooch- it's the perfect stay which feels special for human and hound. Even better... dogs stay for free! Being able to stay in a luxury hotel with your dog feels so special, you don't have to have one without the other. 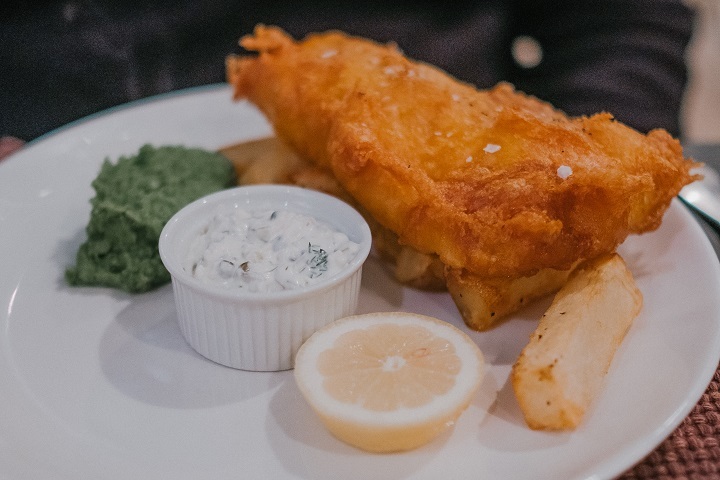 At the Talland Bay hotel you can dine with your dog, which is so important to for us. Although we enjoyed one night with room service, and you can leave pets in the room just whilst you dine if you prefer. It's so nice to chat to other crazy dog people who also travel with their dogs, also great for local recommendations of walks or where to visit too. 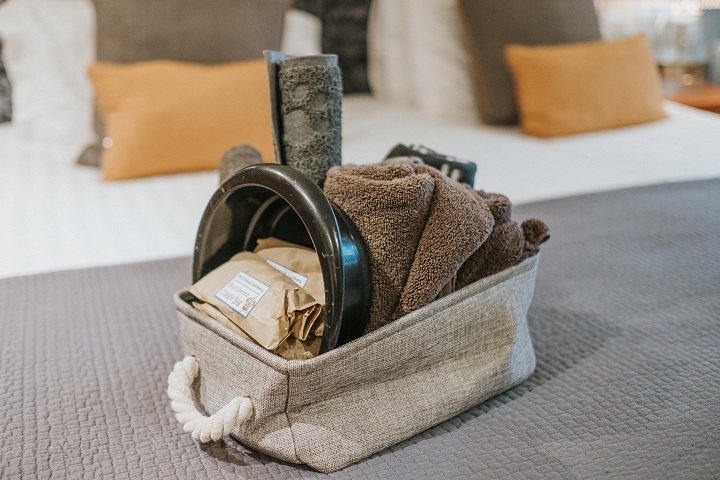 Having the bed made every day, fresh towels, dinner and breakfast cooked for you and knowing that your dog is welcomed. Staying with the Wallace & Gromit offer means there's nothing you have think or worry about, expect for having the best time in Cornwall. 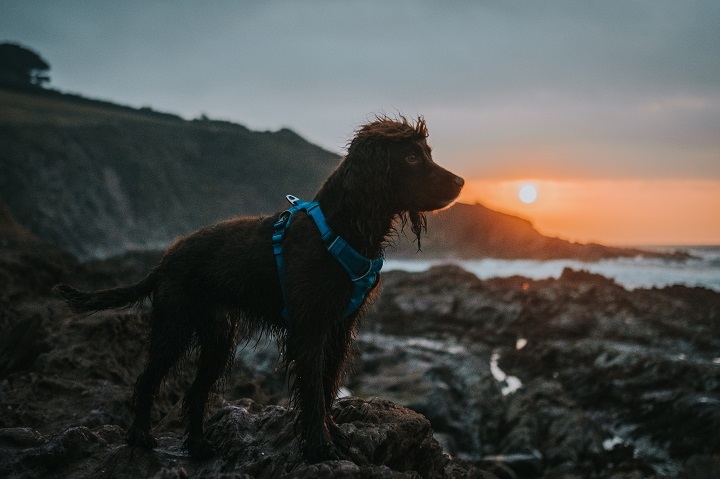 We can't recommend Talland Bay dog friendly hotel enough, if you're looking for a hotel for you and your pet, in Cornwall.